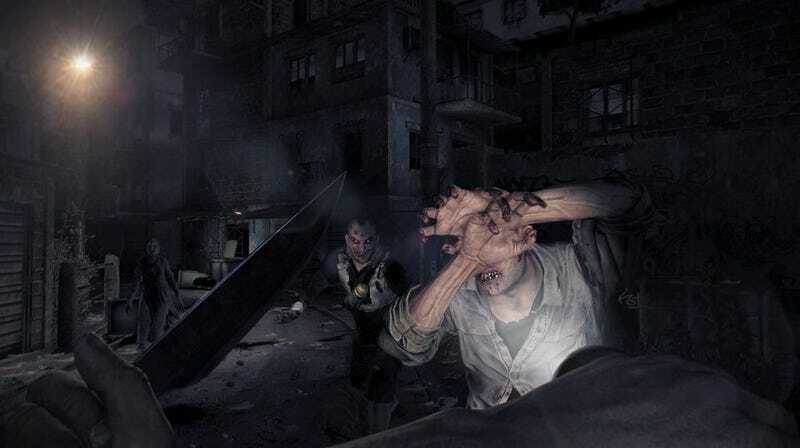 Many found Dying Light surprisingly, refreshingly difficult when it first came out. But time can make even the grossest of zombies appear woefully pedestrian. Mods to the rescue! More spawning locations for zombies, meaning that there are a) a lot more zombies on the map at any given moment, and b) zombies repopulate areas you’ve emptied out much more quickly. Zombies detect you from greater distances. More aggressive AI means that zombies actively hunt for you, follow you, and even wait for you to leave again whenever you dash into a safe house. How considerate of them! Human mercenaries appear less frequently, meaning that additional ammo and firearms don’t show up as much either. The conceit of Dying Light is that the post-apocalyptic, zombie-infested city of Harran follows a natural day/night cycle, with night being the far more difficult time to stay alive. Daytime, in comparison, is supposed to be the relatively easy part of Dying Light’s gameplay—the windows of opportunity you have to send protagonist Kyle Crane out into the city to scrounge around for supplies so that he’s better equipped to survive the coming night. I Am Legion doesn’t change the structure of Dying Light’s existing time-sensitive changes. But it still manages to make the daytime stuff sound oppressively difficult in its own right. Scary stuff, if you ask me. “Super Aggressive Zombies”: which makes zombies...more aggressive. “Radikal Harran Survival” mod: nerfs protagonist Kyle Crane’s offensive abilities, which plays up the game’s qualities as a survival horror game by further incentivising running away from zombies. “Ultimate Ninja and Booster” mod: increases the agility and attack range of zombie and human opponents, bringing both more on par with Kyle Crane when it comes to superhuman parkour powers. It’s great to see a developer like Techland actively embrace its game’s modding community so openly the way they did when they revealed the developer tools they were making easily accessible for enterprising fans. Decisions like this really help extend the lifespan of a game after its original release, once people start to lose interest in a game’s first playable form.